Would You Like A Free Maintenance Survey? Get in touch to book your free maintenance survey today! Ambient HVAC are Air conditioning specialists covering but not restricted to the Middlesbrough, Newcastle and Leeds area. 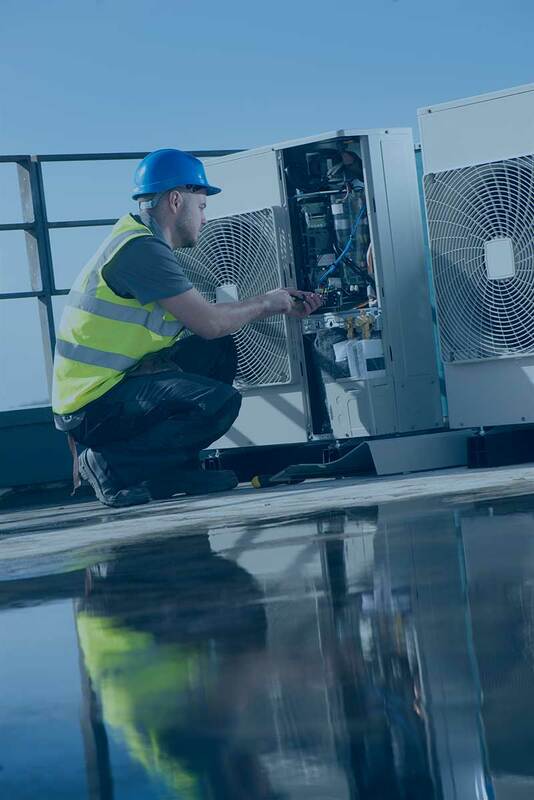 Ambient HVAC specialises in designing, supplying, installing, maintaining and repairing systems that cool, heat or ventilate buildings to create comfortable, productive environments. All cooling, heating and ventilation systems need energy to work. With energy costs rising inexorably, Ambient is inherently conscious of the energy consumption and environmental impacts of the systems it designs, installs and maintains. Which is why it ensures that the solutions it proposes make full use of technologies that help to optimise energy consumption and minimise carbon production. 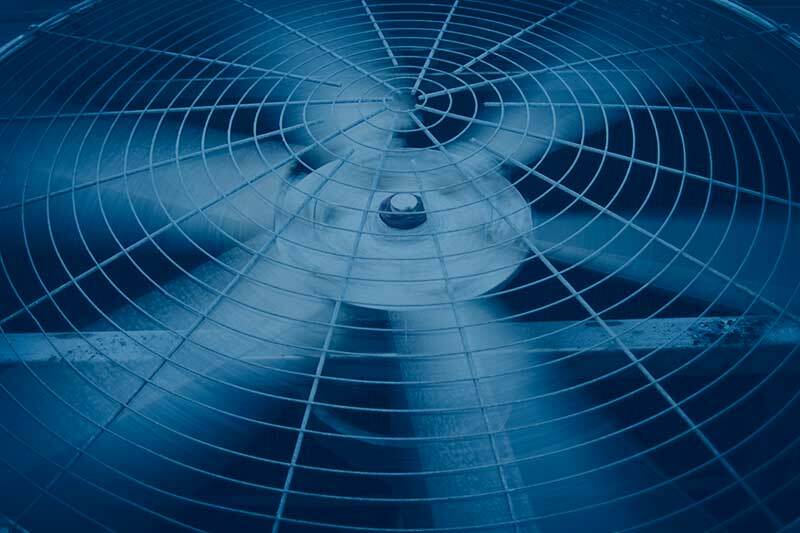 Air conditioning is used to provide heating and cooling solutions in many places. You will most commonly find an air conditioning system in offices, buildings, homes and leisure activity premises. 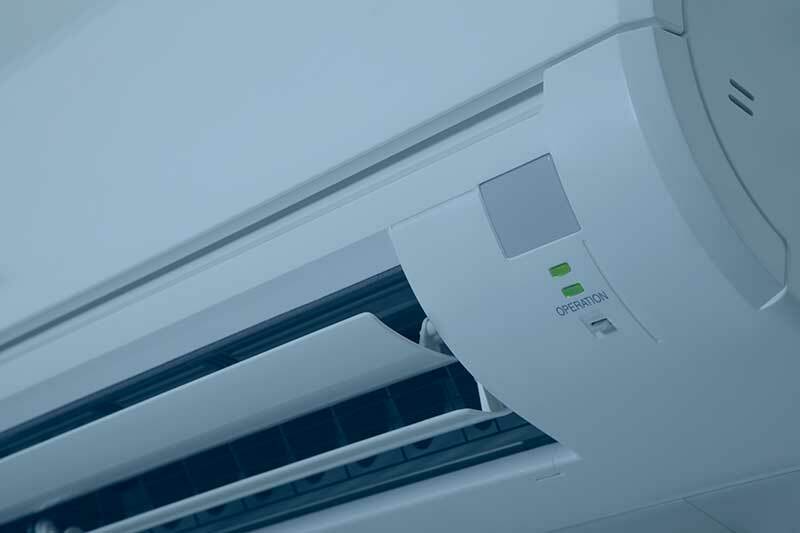 These days you have the option of purchasing air conditioning systems to meet your individual needs depending on what you require. There are many different designs for you to choose from which all do a brilliant job. With the inverter systems we optimise the energy efficiency and accuracy of your cooling and heating system. This is achieved by controlling the speed of the compressors which are found within your system and ensures that your system retains its performance for many years. This product is environmentally friendly which is a bonus and is also encouraged by the government. As a result the government offers companies the opportunity to claim the Enhanced Capital Allowance (ECA) should you install them. For businesses this makes it a valuable proposition and for more information you can refer to the ECA’S website. The heat pump in this system is fantastic as it has low power consumption and low running costs. In addition it also has low carbon emissions and is quantified by the COP of 1kW power in (electricity) = 4kW heat out, or a COP of 1 to 4. The last thing you want is for the temperatures to be soaring and your air conditioning unit to break down. At Ambient we know that it is important that your premises always maintain a cool temperature no matter whether you are using it in an office, at home or elsewhere. As a result our highly skilled team are on hand to deal with any problems you may be experiencing with your air conditioning unit. We will deal with your requests and problems in a timely and efficient manner whilst also discovering the root cause of the problem and providing you with the solution in order to get your system back up and running. For more information you can click on the links below or get in touch with us and we will be more than happy to help. We are professionals when it comes to specialist HVAC systems. As a company we are involved with the design, installation and commissioning of these systems based on the experience we have gained from designing them for various applications. This includes petrochemical control room HVAC installations, laboratory and test chamber HVAC systems, switch room/equipment room pressurisation and/or climate control and much more. We are ISO 9001 accredited meaning that you receive only the best solutions. Our impressive specialist HVAC design and installation portfolio will leave everyone impressed and includes detailed design and development, installation project management and much more. If you would like more information on what we can offer or how we can benefit you then simply get in touch and we will be more than happy to assist you. The evaporative cooling systems are a great product which does an outstanding job. They basically work by using the atmosphere’s free latent energy and combines it with water to do is required job. In this system the cooler plays a major role as it basically takes the water from the mains supply which is then cooled in the cooler and dispersed over pads in a continuous flow. Before being saturated the air is drawn from them and once the water has evaporated the air flow is cooled and distributed around your building or premises via ducts and cools. This type of system is very energy efficient and on average uses 85 percent less energy than a normal air conditioning unit. Another major benefit of the evaporative cooling system is that it can be used in various seasons so during the winter it can be used as a ventilation system and go back to a cooling system during the summer. If you are in need of an effective cooling solution for your server room and data centre then you will be pleased to know that we offer this as part of our services. Our solutions are fantastic as it provides specialist low carbon cooling solutions using the very latest technology. With our solution you will benefit from increased cooling capacity and reliability, reduced associated power and carbon consumption by 90% and much more. We are specialists when it comes to dealing with server room and data centre cooling solutions and before we carry out any work we will do a free assessment on your facilities and come up with a solution which meets your needs. You will also be presented with a competitive quote based on the work which needs to be carried out and all options available will be discussed in detail. For more information simply click on the links below. 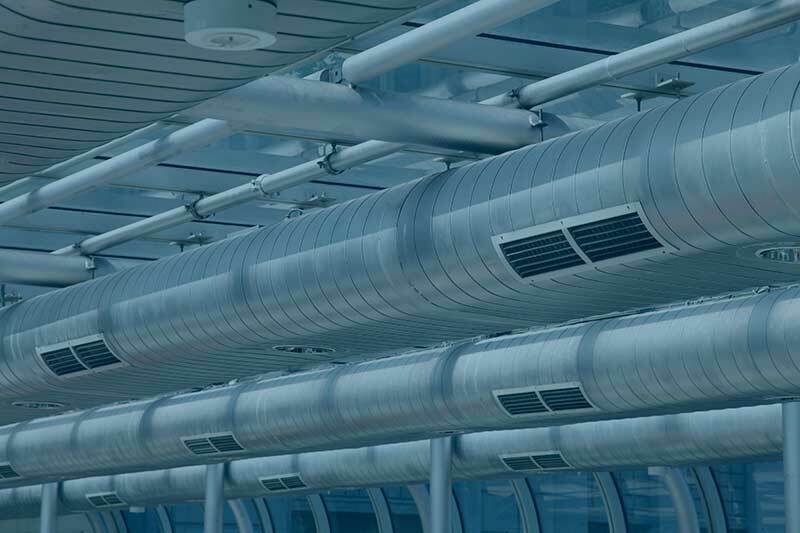 Ventilation is critical in ensuring that the quality of the air within your premises is healthy and good for not only you but for anyone else who maybe residing within your building. It not only avoids adverse health conditions but is a mandatory requirement when it comes to building and design regulations. This is in accordance with the CISCE guidelines. 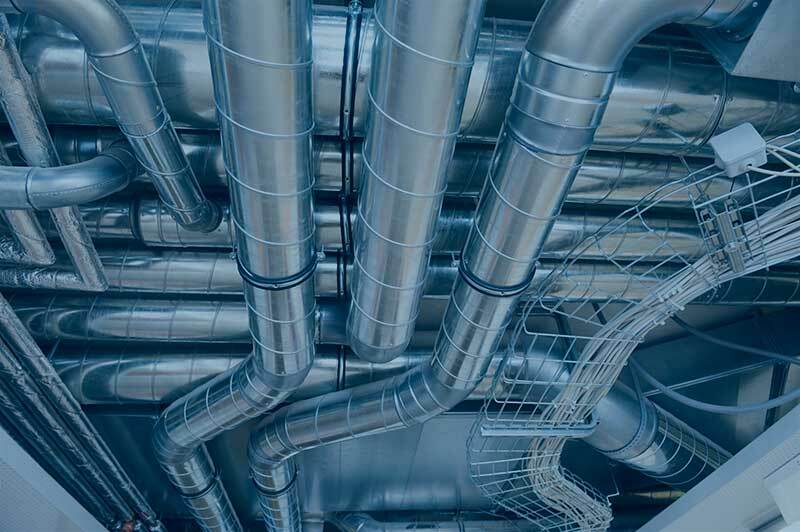 Ventilation can also prove to be essential when it comes to the heating and cooling of your building. When it is combined with carbon sensing [demand ventilation] you will find that the energy consumption can be lowered in a significant way. With this type of ventilation we will oversee the full project from start to finish. We will ensure that we provide your building with an energy efficient solution which will satisfy all of your needs. 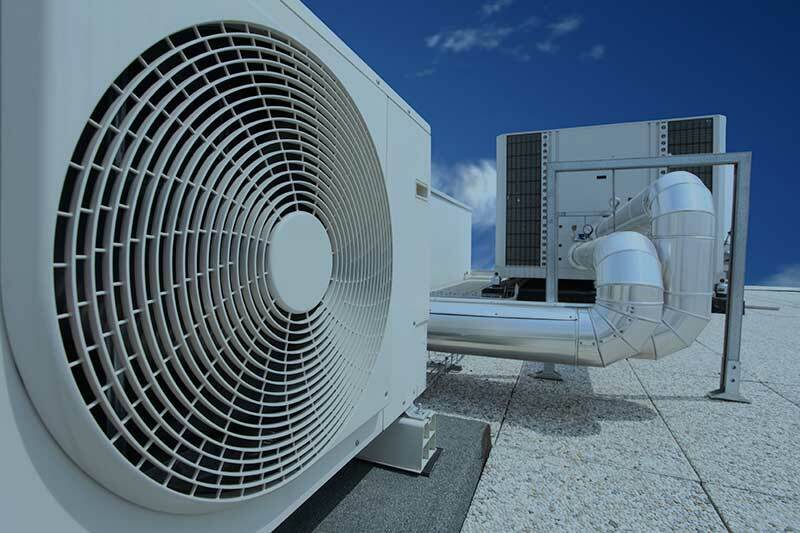 We offer various packages which include highly efficient heating and cooling systems in addition with ventilation systems which go on to provide conditioned air to your premises. We will also remove any bad odours, bacteria, mould and toxic gasses as well as making your building a safe environment. 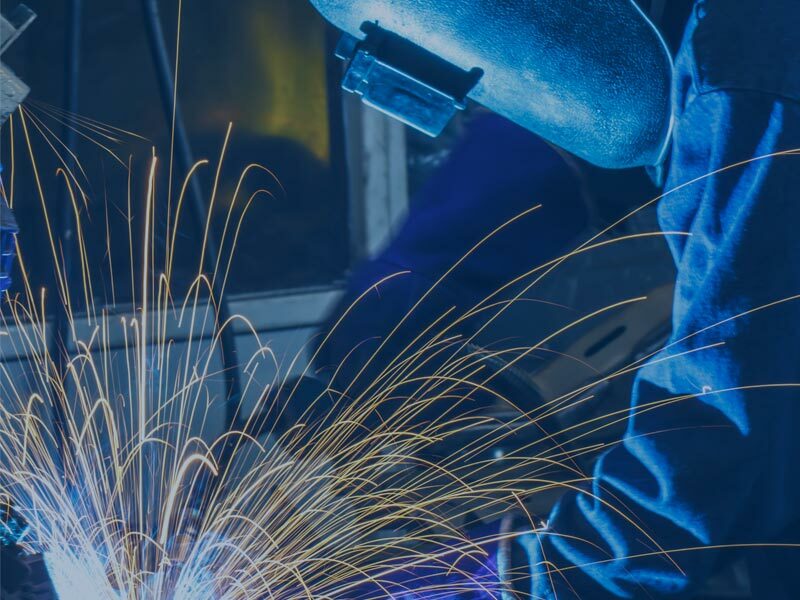 Our local exhaust ventilation solutions are designed to combat and deal with air borne contaminants which could cause serious damage to not only you but your workers also. Throughout the UK there are many instances where workers suffer from terminal illnesses such as cancer and lung disease which is caused by the inhalation of fumes but with this solution we will ensure that any dangerous fumes or toxic gases are removed completely.